Stigmatisation surrounding mental illness is still rife in Nigeria, though platforms like Mentally Aware are breaking these barriers through social media and making information accessible via their website. With Bipolar, as a movie, the message easily seeps into public consciousness. 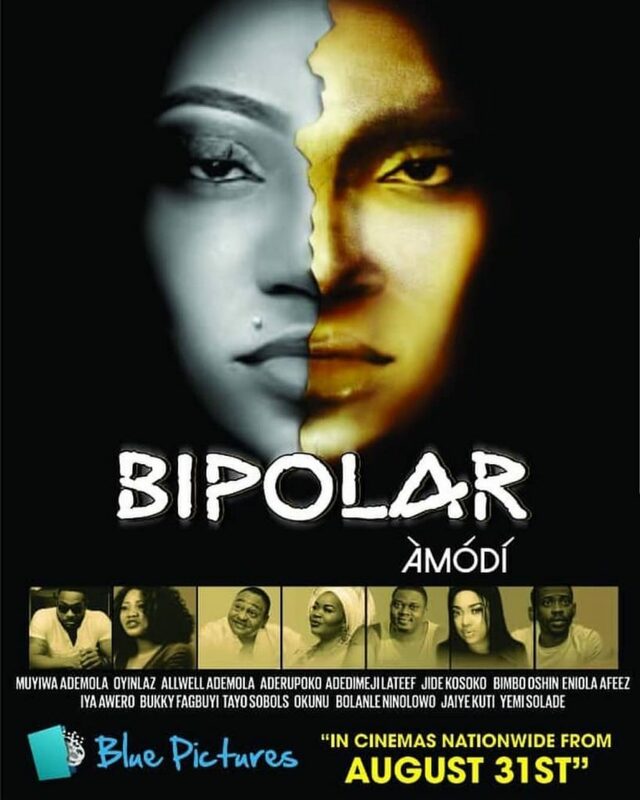 Shot in the US and Nigeria, Bipolar follows the story of a woman who finds herself back in Nigerian due to anger issues with her boyfriend, played by Bolanle Ninalowo. Along the line, she meets a doctor who walks her through managing her anger and releasing it through positive outlets. But not without some crisis. Bipolar has a dash of comedy and is now showing in cinemas.